For the past couple of days I’ve been busy preparing for my mother’s arrival here on Wednesday. It’s so exciting! This is her first time to US, so a lot of planning going on. Even though she has visited us when we were residing in Canada back in 2005, she is tensed now (me too!). Actually, I’m not worried about her traveling alone, it’s that the past one year has not been good for her. So praying that nothing should get messed up. As the day is nearing, I’m feeling so restless and don’t feel like blogging or cooking anything. But this afternoon I saw that Hetal of Isha’s Kitchen has passed me the Inspiration Award and it really inspired me to try a new recipe. Thank you very much, Hetal. 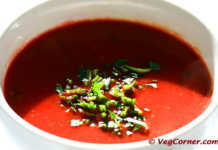 Finally I made this soup from the Vegetarian Book, my husband got for me from Barnes and Nobles. It’s the bargain-priced book. For $10 it’s a steal I would say, with so many wonderful pictures and amazing recipes. I think this one is a very popular book among food bloggers. I see a lot of recipes around from this book. 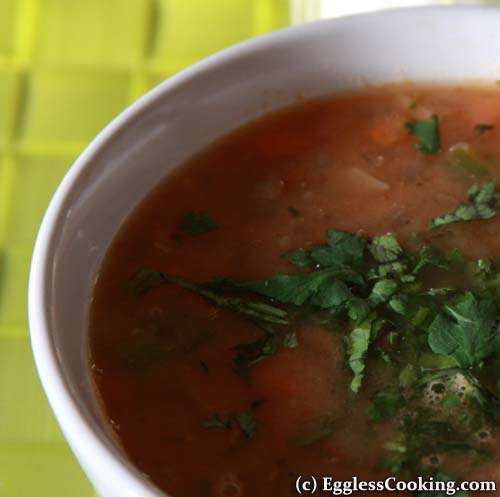 I made a couple of changes to the recipe like using canned beans instead of dry beans, crushed tomatoes instead of fresh ones and vegetable stock instead of water. 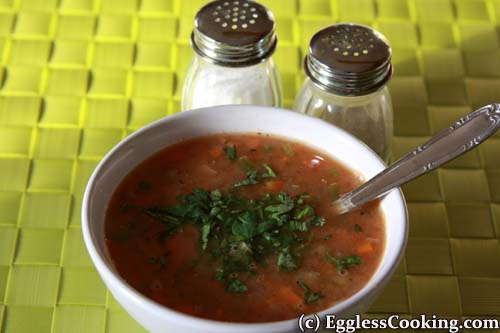 Let’s get into the White Bean Soup recipe. 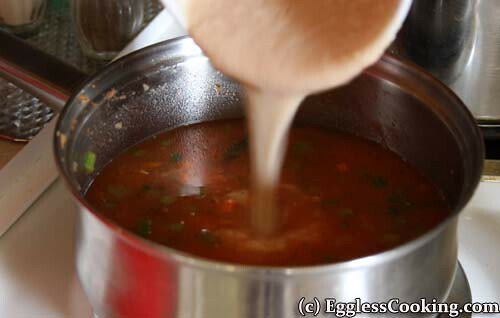 Heat the oil in a saucepan. 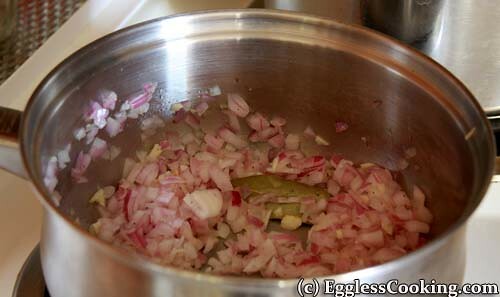 Add bay leaf, onion and cook. 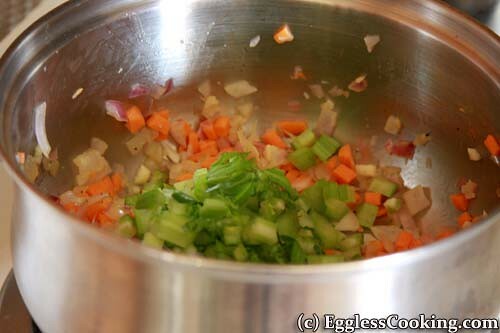 Add the carrot and celery and cook until they are soft. 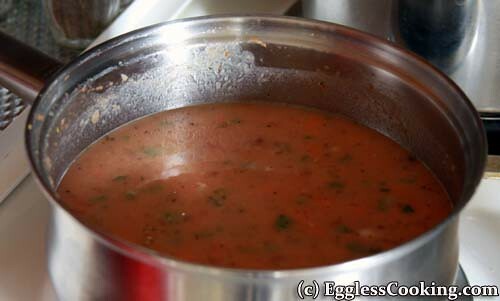 Add crused tomatoes, garlic, and thyme to the sauce pan. Cook it for another 5 minutes. 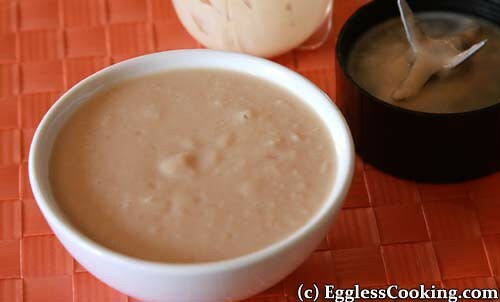 Meanwhile puree 1 cup of the beans either in a food processor or a blender adding little water. 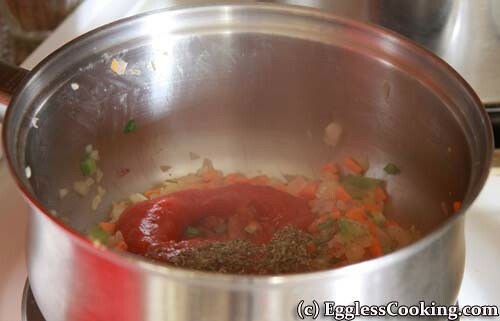 Now add this puree, remaining 2 cups of beans and the vegetable stock to the sauce pan. That’s it. Serve with your favorite bread. Dried beans was used in the original recipe. In that case take 1.5 cups of dried cannellini or other white beans. 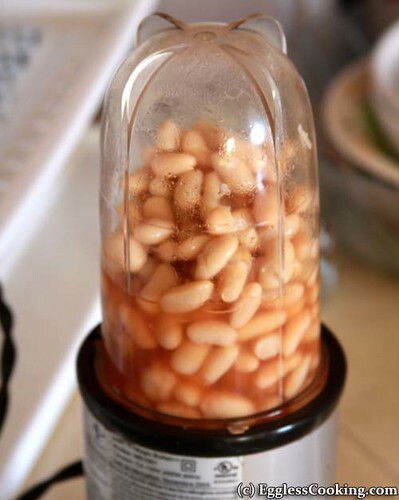 Clean the beans, rinse thoroughly in cold water and soak it in a large bowl overnight. 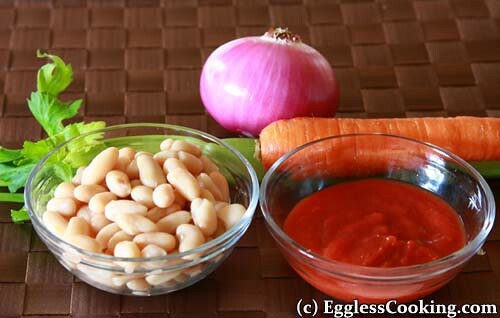 Check here for detailed instructions on how to cook dried beans. 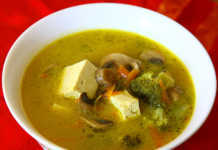 I’m sending this to Sangeeth’s Eat Healthy – Protein Rich Event. 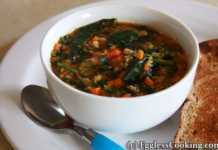 can i use soya beans instead of cannelini beans.